Depending on your faith background you might have a few questions that come to your mind. If you need more answers, we welcome you to attend one of our Baptism Seminars (available dates appear during the baptism registration process). If you'd like to sign up to be baptized, click the date desired on the Upcoming Baptism Dates section on the bottom of the page. Below are some frequently asked questions we get. If I have not been baptized, do I need to be baptized in order to join Hope? Yes, Christian baptism is required of all members. We see baptism as an important step in identifying with Christ and His church. Click here to find out more about our Introducing Hope classes. If I want to have my child baptized, do I need to be a member of Hope? Yes, at least one parent needs to be Hope member before the child can be baptized. Click here to find out more about our Introducing Hope classes. Does the act of baptism “save” me or my child? NO! Salvation is by God’s grace through faith (belief) in Jesus Christ alone. Ephesians 2:8-9 says, “For it is by grace you have been saved, through faith - and this is not from yourselves, it is the gift of God – not by works, so that no one can boast.” Receiving baptism never did, and does not guarantee salvation. How are they going to immerse someone in that little bowl? Why are they baptizing these little babies along with adults? Because children have always been included in the Covenant Family of God (for 4,100 years), we believe that children should be allowed to receive the sacrament of baptism. The continuity between the Old Testament and New Testament suggests that children should be included in the covenant ceremony of baptism. Do I have to affirm the infant baptism position to become a member at Hope? When someone becomes a member at Hope, they do not have to check a box that says that they hold to the view of infant baptism. We have plenty of “Baptist Background” members who choose not have their children baptized as infants but wait until they are 12 or 13 when they are then baptized on their own profession of faith in Christ. I was baptized at another church. Do I need to be re-baptized in order to join Hope? No, you do not. We believe that the Bible teaches that once is enough. As Paul says in Ephesians 4:5 – “There is…one Lord, one faith, one baptism.” If you were baptized in another church that professes Jesus Christ as Lord, then you do not have to be baptized again. 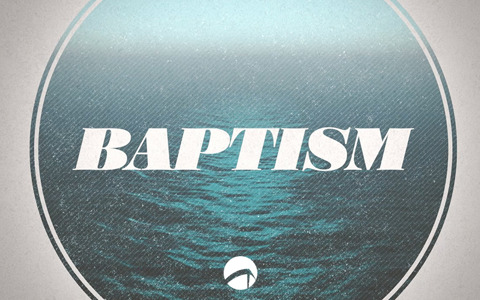 What is the Baptism Seminar all about? During this class, we will discuss issues such as baptism as a sacrament of the Church, how baptism in the New Testament relates to circumcision in the Old Testament and the process of baptism at Hope Church. Adults being baptized and parents having children baptized are encouraged to attend this 45 minute seminar. All seminar classes are on select Sunday mornings at 11:15 in Room 221. The upcoming seminar dates will appear on the Baptism registration form. Registraion links can be found on the Baptism calendar dates listed below.